In the Twentieth century as urban populations increased and workers became more specialized, landlord and tenant law was forced to change. Typical tenants were no longer handy at making repairs as were tenants in previous years. They worked long hours, they did not have time to maintain premises and building designs and utilities were more complex that before. This made some tasks specialized that could only be carried out by the landlord. The growth of urban population has led to speculative buildings to satisfy the housing needs of the new population. Houses are built with inferior materials, without drains or pipes and other basic amenities sometimes are non-existent. In examining the laws that have come to grapple with this new development, the covenants in the tenancy agreements are also a way to ensure that such defaults are remedied. Most times save in the case of a furnished apartment, a landlord does not warrant that the demised premises are or shall be reasonably fit for habitation and in the absence of an express repairing covenant, he does not covenant that he will do any repairs during the term. It is of no moment that the required repairs are structural or internal; that he had no notice of the want of repair. The rule is “caveat lessee”. As Devlin J proposed: “It is the business of the tenant, if he does not protect himself by an express warranty, to satisfy himself that the premises are fit for the purpose for which he wants to have them, whether that fitness depends upon the state of their structure, the state of the law, or any other relevant circumstances” This was in the case of ELDER V AUERBACH (1950) 1 KB 359, 374. The principle caveat lessee requires the tenant to examine the premises and decide whether to take them or not. Once he does the landlord is not taken to warrant that they are fit for habitation. Under Nigerian Land Law, the lease agreement is such an important document between the landlord and the tenant. 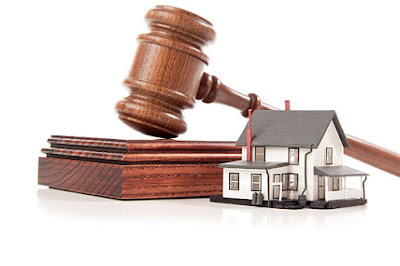 Under the respective Tenancy laws of Nigeria, in most Tenancy agreements there are express provisions stipulating theses rights and duties and this is what is termed as “covenants”. A covenant is a promise under seal, enforceable according to the law of contract. That is, it is a formal promise or agreement in a contract that sets out the rights and duties of the parties to the agreement. Implied Covenants; Implied covenant that the house if fit for inhabitation – The general rule is that the tenant must take the property as he finds it. The landlord is under no implied obligation to repair and he does not impliedly covenant that the property is fit for purpose for which it is required. However, where the property is to be a dwelling housing there is an implied condition that the house is fit for human habitation at the commencement of the tenancy and implied undertaking by the landlord to keep it so during the tenancy. The landlord will not be liable for a breach of this undertaking unless he has notice of the defect, whether latent or patent. Usual Covenants; Usual covenants in leases are those that are proper and common in a lease based on the facts or evidence presented before the court. What constitutes “usual” covenant in leases is a question of fact and law. In some jurisdictions what constitute usual covenants are provided by statute. Some of the covenants classified as usual covenant are often implied and in some cases expressly stated. What constitute usual covenants will depend on the custom of the locality, usage, habit in the trade, or business – Sweet & Maxwell Ltd. v. Universal Services (1964) 2 Q. B 699; Flexman v. Corbett (1930) 1 Ch. 672. What constitute usual covenants depend on how the lease agreement is drafted. One thing to note is that such covenants must be reasonable and capable of enforcement. Where they are unreasonable the court shall not enforce such covenants. Express Covenants; Express covenants are those terms of the lease agreement which the parties mutually agree upon as binding on them. Once these clauses are inserted in the agreement, parties are bound by them. A landlord is obliged to effect external repairs where his tenant has expressly covenanted to keep the interior in good condition and a landlord should provide certain basics that are fundamental to a tenant’s enjoyment of an apartment. It is equally important to note that subject to any provision to the contrary in a tenancy agreement, the landlord shall not disturb the tenant’s quiet and peaceable enjoyment of the premises. The landlord must pay all rates and charges as stipulated by law, keep the premises insured against loss or damage, not terminate or restrict the use of a common facility or service for the use of the premises. The landlord must not seize any item or property of the tenant or interfere with the tenant’s access to his property. It is important to state here under that in the absence of an express repairing covenant, the landlord is not bound to effect any repair as the rule is “caveat lessee” which requires the tenant to examine the premises and decide whether to take or not. Once he takes the premises, the landlord is not taken to warrant that it is fit for habitation. The fact that the tenant did not inspect the premises or notice some defects is irrelevant. It is the business of the tenant to satisfy himself that the premises are fit for the purpose for which he wants to have them. However in practice, the landlord owes a duty to his tenant to perform structural repairs on the premises and maintain common areas of a building. No tenant can stop payment of rent because the premises lack basic amenities. The only option open to the tenant is to either provide it or look for alternative accommodation. The purpose of this covenant is to ensure that the property is kept in good condition and to ensure that the value of the property does not depriciate. BOTH THE LANDLORD AND TENANT have their respective OBLIGATIONS to repair. – The position of the law currently is that in the absence of express covenant, the obligation is imposed on the tenant to repair (this is because the landlord under common law is under no liability to repair any part of the property). In practice, there is a general obligation imposed on the landlord to carry out structural repairs (repairs of main parts of the house like main walls, roof, etc. ), while the tenant effect minor repairs (interiors, floors, etc.) In the case of JAVIN V FIRST NATIONAL REALITY CORPORATION 428 F2d 1071 (1970) (albeit a US case), the tenant a withheld rent because their apartment fell in to a seriously defective state. The first issue the court considered was whether or not the landlord owed any contractual obligation to his tenants with regard to the state of the building and secondly whether such duty allowed the tenant to refuse to pay rent. The court of appeals opined that the original medevial concept of the lease as a conveyance of an interest in land, without warranty as to the suitability of buildings upon the land might have been suitable for an agrarian society, it further stated that the 19th century economic liberalism – freedom of contract- must be trimmed down to fit the requirements of present day society. A covenant to repair imposes an obligation on the person covenanting to put the premises into repair even if they are in a state of disrepair at the start of the lease – Payne v. Haine (1847) 16 M & W 541 at 545, and to ensure that they do not thereafter fall into a state of disrepair – Proudfoot v. Hart (1890) 25 Q. B. D 50. Nigerian courts can be inclined to follow such decisions and it can be safe to say that; for the purpose of determining the obligation to repair, the parts of the building are classified under law to determine which parts a Landlord and a Tenant is obligated to repair. A. STRUCTURAL PARTS: E.g Foundation, Roof, Drainages, Walls etc. In short anything that has to do with the structural parts of a building is under the obligation of the landlord to repair compulsorily. C. INTERIOR: Door, Windows, Cupboards, Sinks etc (These deal with the interior of the house and it’s your duty to repair them because you use it for your own convenience). So in short, the Landlord repairs the Common and Structural Parts while you the Tenant repairs the Interior parts. Now if the Landlord has defaulted in repairing his own parts, the remedy open to one in law is to give notice of repair, demand for Specific performance to repair or when you move out seek for damages in respect of refund of the money spent. Such covenants must be expressly written in the tenancy agreement. 1. To keep the structure in good repair including boundary fences and roadways and to be responsible for external decoration. 2. To ensure the property against fire, tornado, wind, storm and earthquake, and to refund the rent already paid for the unexpired period of the tenancy in the event that the house becomes unfit for habitation by reason of fire, tornado, wind, storm, earthquake or other fault or defect. In such an instance failure of the landlord to abide by such express covenants will give the tenant a right to enforce such action in the courts. (1) Not to disturb the tenant’s quiet and peaceable enjoyment of the premises. (2) Pay all rates and charges as stipulated by law. (3) Keep the premises insured against loss or damage. (4) Not to terminate or restrict a common facility or service for the use of the premises. (5) Not to seize or interfere with the tenant’s access to his personal property. (6) Effect repairs and maintain the external and common parts of the premises. (e) fails to maintain or repaint the exterior or the common parts of the building or buildings of which the premises is comprised and after being given notice in writing by the tenant requiring him to rectify the matter, does not do so within such time as is reasonably practicable, the landlord, is liable to pay to the tenant such reasonable compensation as shall be determined by the Court, where the tenant effects the repairs or maintenance. In the case of UNILIFE DEVELOPMENT CO. LTD. V. MR. KOLU ADESHIGBIN & ORS (2001) 4 nwlr(pt.704)609. In the case of ALHAJI USMAN DANTATA & ANOR V. MOUKTAR MOHAMMED (2000) 5 iLAW/SC.105/1997 the court said inter alia…"The broad general principle of law is contained in the old Latin maxim: "Ubi jus ibi remedium. Jus here signifies the legal authority to do or demand something and Remedium here means the right of action of the means given by law for the recovery of the declaration or assertion of that right. In other words, the maxim presupposes that wherever the law gives a right, it also gives remedy, that remedy must be founded on a legal right. "(italics is for emphasis.) See also Bello & 13 Ors. v. A. G. Oyo State (1986) 5 NWLR (Part 45) 828. Applying the above to the instant case, it is in my view clear that the Plaintiff does indeed have a right to the relief sought. This is the more so as the issue raised in these reliefs is the Agreement purportedly entered into by the parties, the basis of which the Defendants are seeking to alienate his (Plaintiff's right to his property at Turnbull Road (now Jabita Close). Indeed, I hold the firm view that the Plaintiff is entitled to some remedy although not nullification. See Egbuche v. Idigo 11 (1934) NLR 140. Clearly, there are other remedies open to him in the event of a breach of contract e.g. rescission of the contract or specific performance while being careful not to be time-barred. See Odusoga v. Ricketts (1997) 7 NWLR (Pt. 511) 1 at 1617. By a long line of decided cases. it has been established particularly in Eronini v. Iheuko (1989) 2 NWLR (Pt. 101) 46 at 60-61, that declaratory judgments being equitable remedies are discretionary remedies which should be exercised judicially and judiciously. In the instant case. the Plaintiff, in my view, is entitled to the declaratory reliefs sought both in law and in equity.